A cut above! Since 1876, the Camillus Cutlery Company has crafted high-quality Knives that are extremely durable and razor sharp. 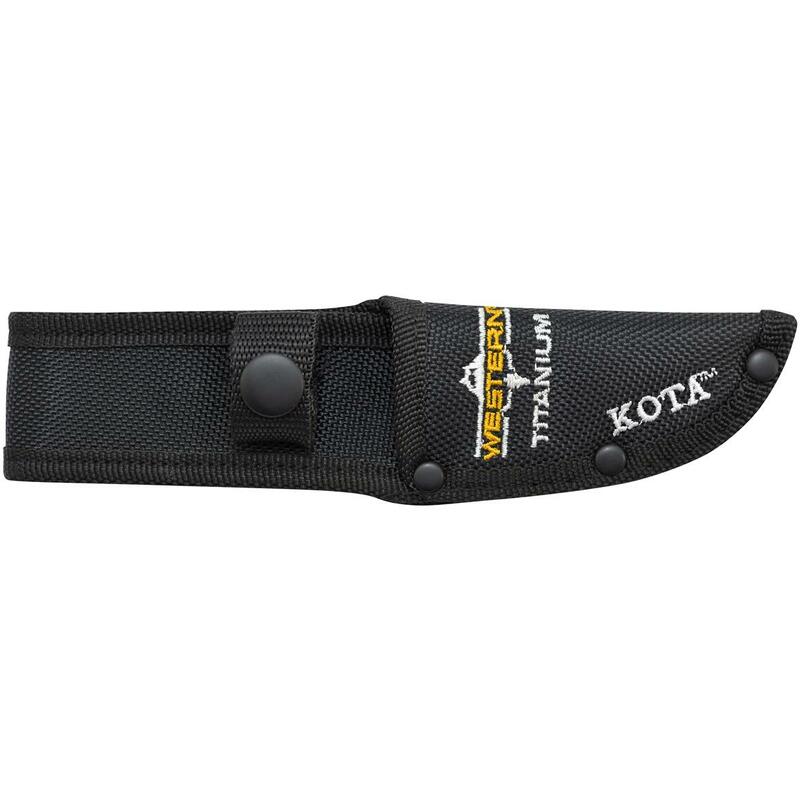 Today, they continue that tradition with the Western Kota 7" Fixed Blade Knife. It's made from 420 titanium-bonded stainless steel that holds an edge nicely, while the ergonomic G10 handle provides a sure grip in any weather condition. Plus, the molded nylon sheath makes it easy to transport. Get yours here for LESS! 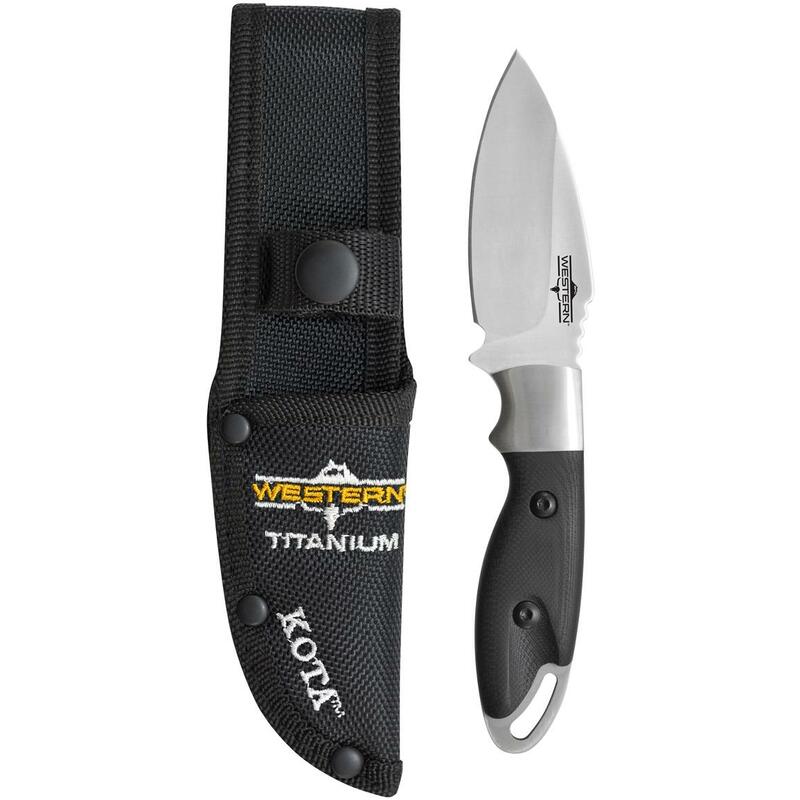 Camillus Western Kota Fixed Blade Titanium Bonded Skinning Knife, 3.25 Blade is rated 4.3 out of 5 by 10. 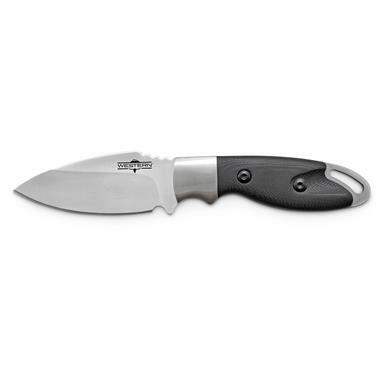 Rated 4 out of 5 by webber jr from good price small durable fixed blade for the whitetail hunter on the go. shape of blade makes it very good for multiple jobs. diamond honed once and held a good edge. Overall 8 1/8"l., 9 ozs. Features beauty and strength of Damascus steel. Quick, easy field dressing for big game.